Hebert's Town And Country Chrysler Dodge Jeep Ram in Shreveport, LA has been locally-owned for over 30 years and offers new, used and certified pre-owned Chrysler, Dodge, Jeep and Ram vehicles to car buyers. Family owned, we proudly serve Shreveport-Bossier City and the surrounding areas of Louisiana with top-notch team members to satisfy every customer’s need. 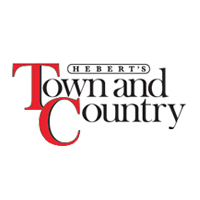 Hebert's Town And Country Chrysler Dodge Jeep Ram stocks a full range of new 2018-2019 vehicles, including: Chrysler 300 and Pacifica; Dodge Challenger, Charger, Durango, Grand Caravan and Journey; Jeep Cherokee, Compass, Grand Cherokee, Renegade, Wrangler and Wrangler Unlimited; and Ram 1500, 2500, 3500, 4500, 5500, ProMaster and ProMaster City. We also have a selection of used and certified pre-owned cars, trucks, SUVs and vans on the main lot as well as at Hebert's Town And Country Chrysler Dodge Jeep Ram Pre-Owned Bargain Lot. The service department at Hebert's Town And Country Chrysler Dodge Jeep Ram offers maintenance and repairs to make sure your car is always in tip-top shape, while the parts department has a wide selection of OEM parts and accessories. Finally, our sales associates and financial advisers are on hand to provide advice on purchasing and financing a vehicle. No matter what your credit score, we’re here to help you find the car of your dreams while sticking to your budget. If you’re in the market for a new vehicle from a dealer you can trust, check out our online inventory, call us at (888)711-5043 or stop by Hebert's Town And Country Chrysler Dodge Jeep Ram at 1155 East Bert Kouns Industrial Loop, Shreveport, LA 71105.